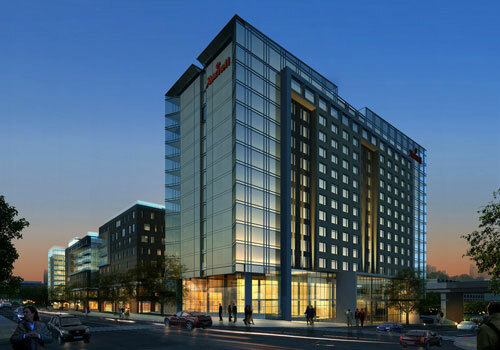 This 12-story high-rise hotel is the newest and only full-service Marriott branded hotel in downtown Omaha offering progressive hospitality design concepts in both public space and private guest rooms. As the anchor of the Capitol District, the hotel is is a relaxing retreat with endless possibilities for the sophisticated traveler. Visitors are invited to enjoy its outdoor swimming pool and extra large fitness center, dine in at its full service restaurant and bar or in-house Starbucks® café, and meeting planners can make use of 17,500 square feet of event and meeting space. Experience the new way to travel. Travel brilliantly. 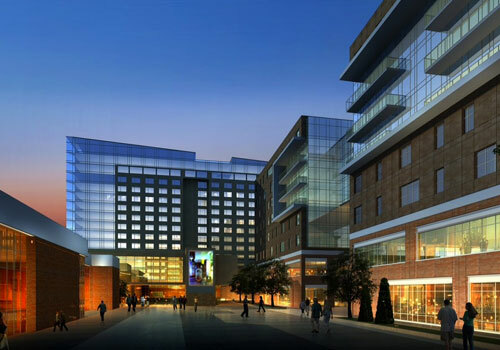 In addition to the newly built hotel, the Capitol District includes 225 residential apartments, 140,000 square feet of Class A office space, and 90,000 square feet of high-end retail space for restaurants, shops, and entertainment, all located near renowned Omaha attractions.